complete and sign a membership change form. 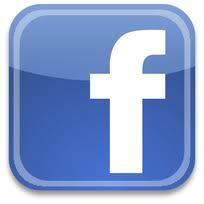 Click here to view and print this policy as a PDF document. Pleasing everyone in the family can be a challenge. Mom enjoys cycling, but dad plays basketball. One child likes swimming, while the other prefers lacrosse. As a result, trying to please everyone can be impossible. Imagine offering your members a place that caters to the entire family. 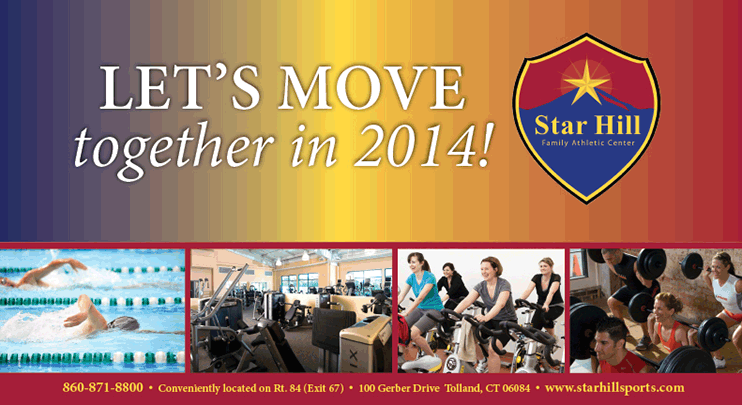 Star Hill Family Athletic Club in Tolland, Connecticut, is a one-stop shop for all athletic needs. The company fully embodies its motto “re-discover the power of play” by offering everything you could imagine in a health club — and even more. The 143,000-square-foot facility boasts an indoor swimming pool, three turf fields, two full-sized hardwood courts, a batting cage, an indoor walking/jogging track and a fitness center featuring cardio equipment and free-weights. Members can also choose from a plethora of Group X classes, ranging from yoga and cycling to Country Western Dance and Pickleball. When Smida opened the club in November 2009, he kept family in mind. “Star Hill is a dude ranch out in Cody, Wyoming, that my sister-in-law’s family owned,” said Smida. 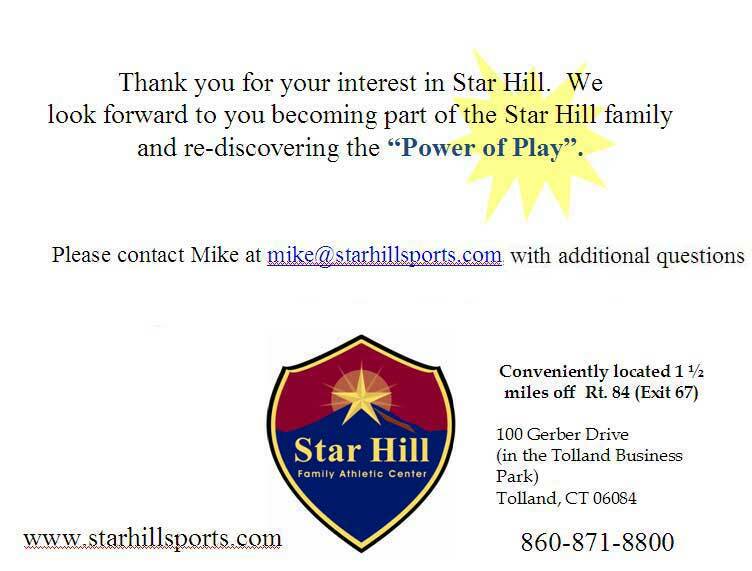 “We went out there many times when my kids were little, and for me that was always a great family memory, so I asked permission to carry the name over to this facility.” By offering a wide spectrum of amenities, Star Hill Family Athletic Club is a place where the whole family can find something they enjoy. If members want to break away from their daily workout routine and try something new, they can give a sports clinic a try. 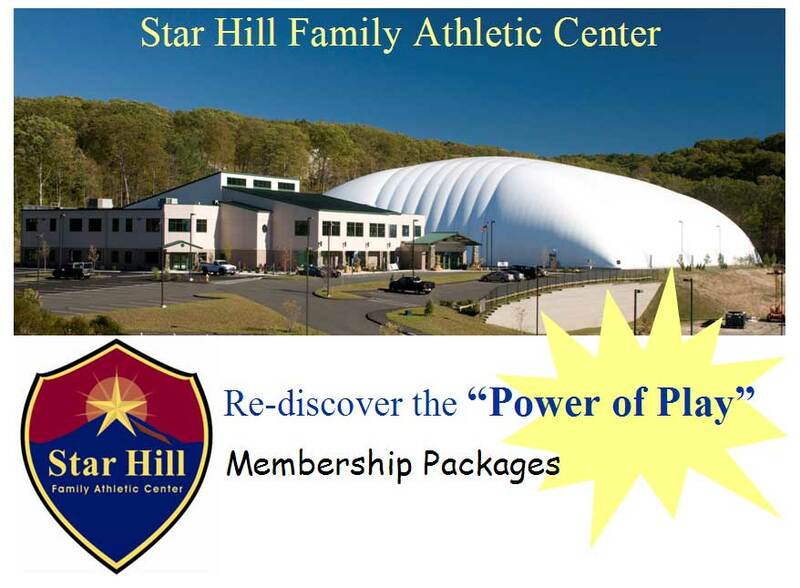 Star Hill Family Athletic Club offers soccer, lacrosse, basketball and field hockey clinics, in addition to soccer, football, volleyball and field hockey leagues. 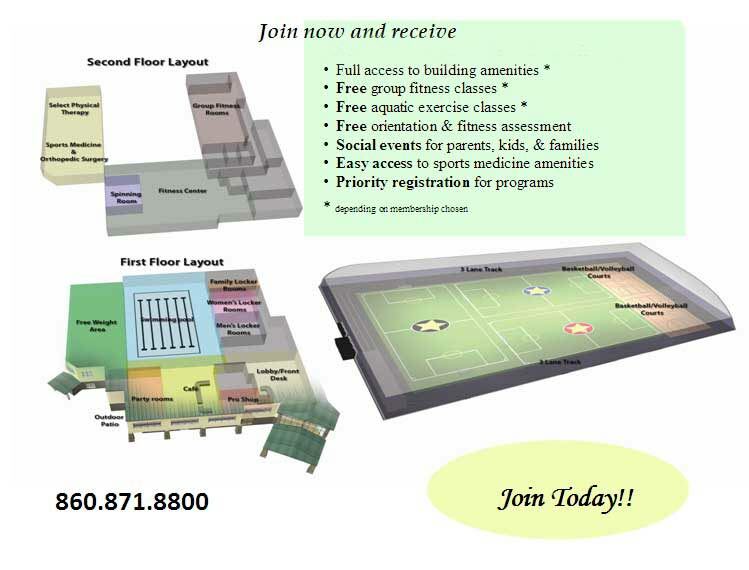 Bring your family together to play in the areas largest Family Athletic Center. 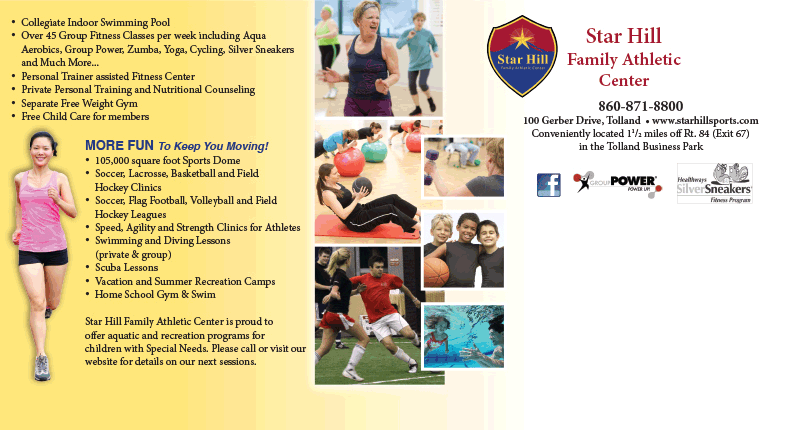 At Star Hill Family Athletic Center you can take a swim with your family in our beautiful indoor swimming pool, or challenge yourself by taking one of our many Group Fitness classes while your children play a game of basketball in our magnificent dome. For those of you who enjoy cycling try one of our many exciting and fun group spin classes held in a climate controlled room with fantastic heart pumping music to get you moving! Whether you want to learn a new swim stroke our swim lessons for you and your children are offered year round. For addtional motivation and a great start on your fitness goal let our Certified Personal Trainers get you on the right track with a personal fitness appointment. 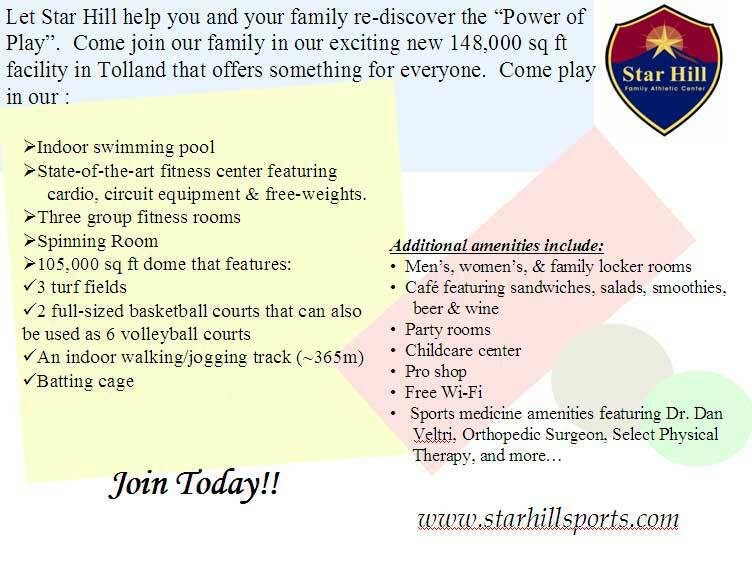 There is so much to do at Star Hill Family Athletic Center that you will be sure to find something fun and exciting for everyone in your family. Our membership plans are based on an annual agreement, you can also choose to finance your membership by paying low monthly dues. We can help you to decide which membership plan will help you reach your fitness goals or includes the areasyou are most interested in using.